I do my best to cover all types of seemingly strange credit card gadgets that make their way to market, along with those that are in production or have aspirations to be. Lately, this has included a lot of all-in-one credit cards such as Stratos and Coin, and a new digital/physical wallet called the Wocket. But every once in a while something really odd pops up, though I don’t mean to discount the need for this new invention. I’m referring to “Slivver,” a credit card sleeve that doubles as an antimicrobial stylus for touch screen devices such as the iPad, iPhone, and anything else with a touch screen you might come across. You may be wondering what the point of such a device is, seeing that you can just swipe your finger and get the job done. Well, that’s exactly the point. This new device doesn’t want you to put your fingers at risk anymore. Why? Because touch screens are filthy. After all, everyone is putting their hands on them day in and day out, especially public ones at places where you checkout on one, like the Apple Store! It’s pretty simple really. You just slide the conductive plastic device onto the bottom of your credit card and you’re ready to go. 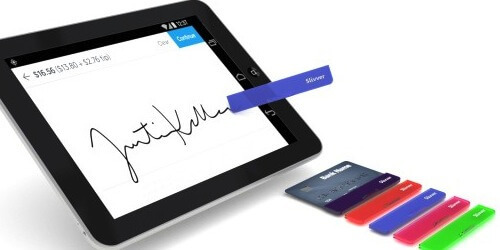 You can swipe, tap, and sign with the Slivver, all while avoiding direct contact with the touch screen in question. And that’s a good thing because an estimated 19 out of 20 touch screens are contaminated with pathogens. Now think about all the touch screens you come in contact with on a weekly basis. The grocery store self-checkout, the back of a taxi cab, the airport boarding pass kiosk, the ATM machine, and so on. Instead of touching these things with your bare hands, why not slip on a Slivver and keep things safely at finger’s length? 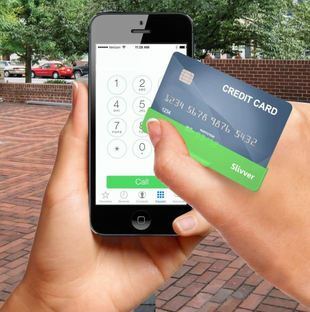 It makes sense in that a lot of those transactions involve the use of a credit card so it’ll already be in your hand. The Slivver is currently being pitched on crowdfunding site Indiegogo. If you want to get involved in its eventual production you can make a donation today. Founder Tony M. Galazin is currently seeking $24,000 to make the project a reality. For $5 you get a “big thank you” and your name on their contributor page. For $10 you get one Slivver in your choice of color. For $30 you get three Slivvers, and for $50 you get all five colors. By the way, 5% of all proceeds go to charity. Which charity depends on the color, as you can see in the image above. So you can donate some money to a charity and help prevent the spread of infectious diseases. Not too shabby. My only worry is that credit card themselves are dirty too, so while you might be able to avoid contact with touch screens, your credit cards are still able to pass along viruses and other nasty stuff.